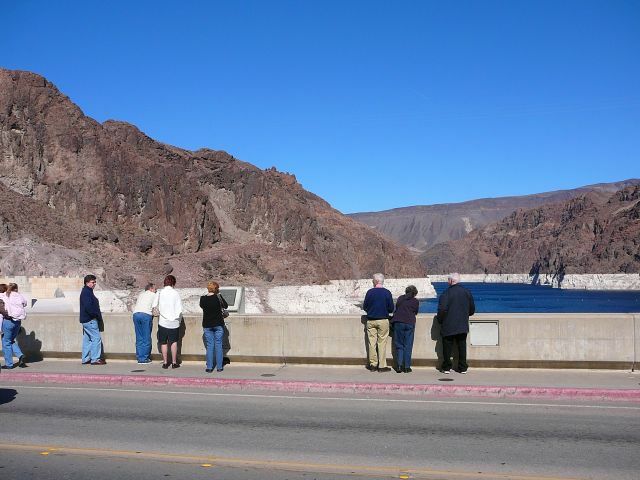 Looking across the dam road toward Lake Mead. So why are the banks of the lake white? Does the water wash away all the organic material?